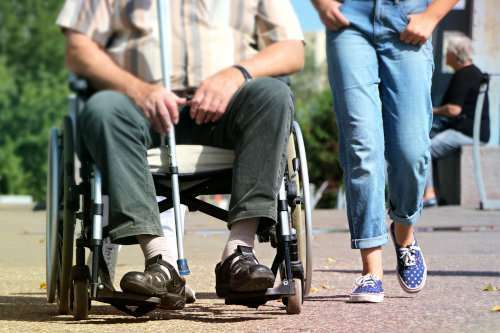 The daily lives of disabled people are impacted by 'unhelpful, exclusionary or downright abusive' practices, according to a major research project looking at issues facing those with disabilities in the UK today. Getting Things Changed is the largest research project of its kind, involving 448 participants who gave insights into the many barriers faced by disabled people and indicated some of the changes which need to happen. It took place at a time when austerity and cuts to social care budgets have hit disabled people hardest, with local authorities driven by budget cuts rather than the needs of those it should be helping. The findings from Getting Things Changed, being presented at a conference held in Bristol today [25 May], demonstrate that many public institutions such as hospitals or universities aren't providing 'reasonable adjustments' for disabled people as outlined in the Equality Act 2010. All public institutions must have systems in place, preferably led by disabled people, to monitor and report on how they're adhering to the Equality Act 2010. Professor Val Williams, from the Norah Fry Centre for Disability Studies at the University of Bristol, led the project and said: "We have tried to unravel some of the culture and practices which exclude or 'misfit' disabled people. All too often, practices become stuck in ways which are unhelpful, exclusionary or downright abusive for them. "While we found evidence of some positive change, thanks in part to technology, there still needs to be a shift in values – in public institutions and within society as a whole. "For example, local authorities are being driven by the need to cut social care budgets rather than engaging in meaningful communication with disabled people, and we see how this creates a climate where rigid processes and practices become the unquestioned norm. "What we have learnt through our research is that there's a strong need to see afresh what is often taken for granted. Institutions create practices which are often driven by a power differential between 'expert' and lay person, but these practices can become more equalising by a relaxing of formality. "Disabled people should be seen and valued as innovators. Introducing new forms of technology and ways of doing things which will ultimately benefit the whole of society by making it more inclusive." Sue Bott CBE, Deputy Chief Executive of Disability Rights UK, said: "Disability Rights UK were pleased to be part of this project. It's one thing to talk about the rights disabled people have but quite another to find ways to put those rights into practice. "Why should we disabled people continually have to fight for our rights? It's a wake-up call to public bodies to put in place practices and processes that will guarantee our rights."